When you visit Aegis Dental, our goal isn’t to simply fix your dental problems as they pop up (though we can certainly do that! ), but to help you avoid them altogether. That way, you can spend less time worrying about your smile and more time simply enjoying it! With the services listed below, we’re often able to stop many dental problems before they even start. We recommend coming in for a preventive appointment at least every six months, so if it’s time for your next one, please contact us today so we can start safeguarding your smile. A standard teeth cleaning is designed to remove any plaque and tartar built up on your teeth and gums. Your hygienist will use sophisticated tools to do this, and it will allow them to reach those areas in your mouth your brush and floss simply can’t. It’ll also help break up minor surface stains to help keep your smile nice and white! 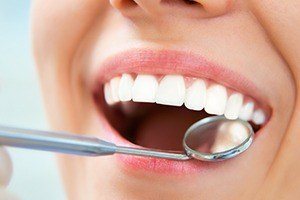 For a patient that has gum disease, we may recommend that they undergo a deep cleaning, which consists of two parts: scaling and root planing. With them, we can remove harmful plaque and bacteria from below your gum line which if left untreated may lead to gum infection and tooth loss. With a dental sealant, we can give the most vulnerable teeth a little more protection. The back teeth (molars and premolars) tend to develop cavities most often because their pits and grooves make them particularly difficult to clean, especially for young children. 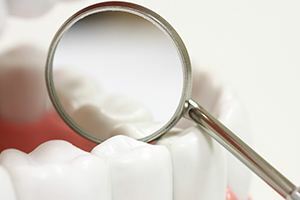 For a dental sealant, we’ll apply a clear, thin layer of a plastic-based substance directly to a tooth, and this will place an invisible barrier that plaque, food particles, and bacteria cannot penetrate. Dental injuries account for a very large percentage of sports injuries (up to 40% by some estimates! 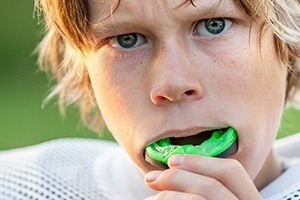 ), and most of them can be avoided through the use of a sports mouthguard. We can provide you with your own custom-made mouthguard that will be much stronger and thicker than anything you can buy at the store. It will also be specially-designed to fit over your teeth, making it very comfortable to wear so that it does not interfere with your breathing. Bruxism is the scientific name for unconscious jaw clenching and teeth grinding that occurs during sleep, and as many as 1 in 3 people suffer from it. Over time, it can severely wear down the teeth and eventually cause them to fracture! 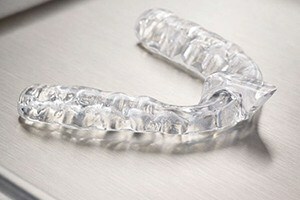 To help with this sneaky problem, we can recommend that a patient wear a nightguard to bed. It’s a small, custom-made mouthpiece that will place a protective barrier between the teeth to keep them safe during the night. Oral cancer is being found in more and more young, healthy individuals in the past decade or so, and early detection is absolutely essential to successfully treating the disease. This is why Dr. Chandy recommends that every adult should have at least one oral cancer screening per year. She can perform one as part of your regular checkups, and should she discover anything, she can help you quickly get follow-up treatment. For decades, fluoride has provided a safe, natural way to strengthen the teeth against both decay and cavities, which is why you’ll often find it added to toothpaste and even tap water. 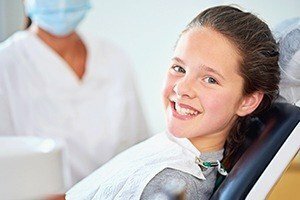 To make sure you’re getting enough fluoride so you can stay cavity-free, we can provide a topical fluoride treatment as part of your regular checkups. It only takes a few minutes, is completely painless, and it will give your smile some extra protection between appointments. Dental emergencies always happen suddenly and unexpectedly, but when you need urgent care for you or a loved one’s smile, you can always turn to Aegis Dental. We’ll do everything we can to see you as quickly as possible to relieve your pain and save your smile. The American Pediatric Dentistry recommends having your child’s first check up by their first birthday or when they have their first tooth. 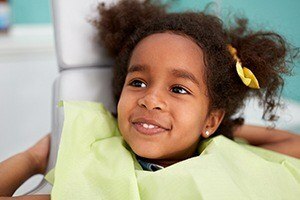 While children have very particular dental needs, they also require a warm, friendly approach so they can stay comfortable during their dental appointments. At Aegis Dental, we’re ready to handle both, as our team has a lot of experience serving children, and many of us are parents ourselves, including Dr. Chandy!